The Verizon Innovative App Challenge – the no-coding-skills-needed contest that gives middle and high school students a chance to bring their problem-solving app ideas to life – is back. In its fourth year, the App Challenge calls students to gather teams, dream up ideas, and create concepts for mobile apps that could solve problems in their schools and communities. 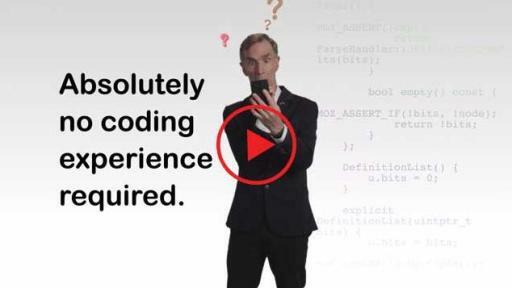 There are no coding skills needed for students to enter #VZAppChallenge. 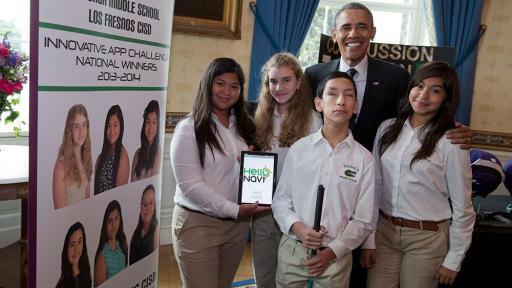 Winners can win tablets + $20K for your school or club. For the first time, the App Challenge will be open to teams representing non-profit organizations in addition to schools, and even more students will earn free tablets and cash awards for the groups they represent. The deadline for submission is Nov. 24, and the winners will be named in January 2016. Bill Nye, the Science Guy, is helping Verizon to encourage students nationwide to submit their ideas and to organize their teams now. 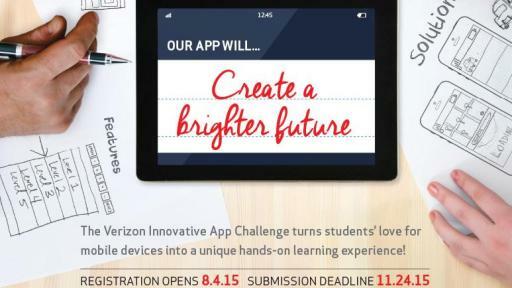 Created by the Verizon Foundation in partnership with the Technology Student Association, the App Challenge offers hands-on, experiential learning to ultimately help students envision brighter futures for themselves that they may never have imagined, as business owners, app inventors and professional coders. Over the years, the Verizon Innovative App Challenge has garnered a track record for uncovering life-changing app ideas that students had conceptualized. For example, an all-girls team of 6th graders from Resaca Middle School in Los Fresnos, Texas won the App Challenge in 2014 for their app idea to help the blind navigate. 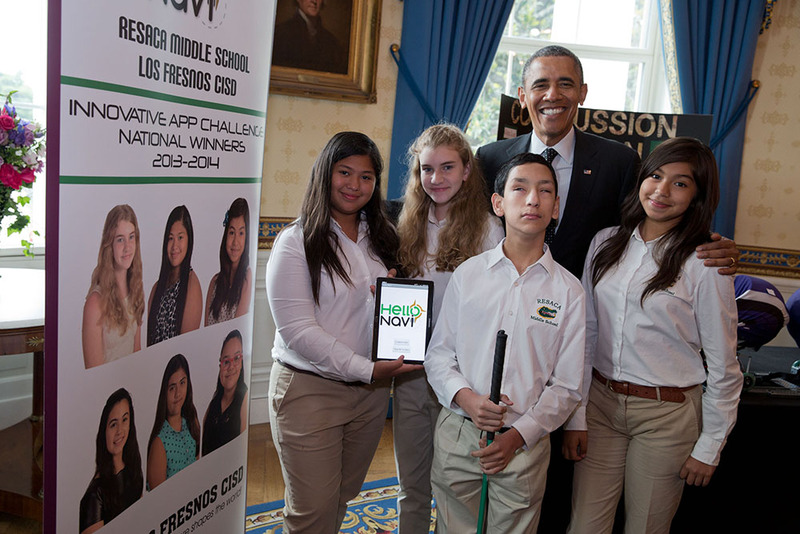 Inspired by their visually-impaired classmate, the Hello Navi App earned the girls a visit to the White House Science Fair where they met President Obama and Bill Nye, the Science Guy. Now 8th graders, the girls recently sold their app to Visus Technology which is working to expand Hello Navi for use on college campuses nationwide. The new Hello Navi will incorporate a social community of both seeing and visually impaired users who can share updates in real time to improve navigation for the blind. It will be integrated into a suite of resources for the visually impaired called VelaSense. 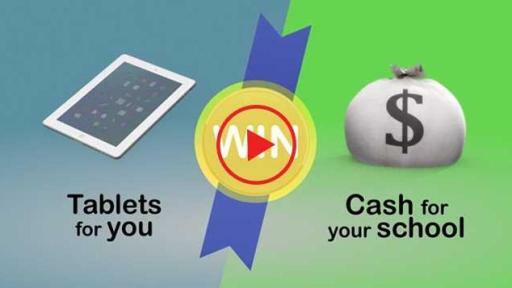 New this year, Best in State winners of the Verizon Innovative App Challenge, one team of middle school students and one team of high school students from every state and D.C. will win $5,000 grants for their schools, groups or clubs, and tablets for every team member. Eight Best in Nation winners will receive an additional $15,000 in grants for their schools, groups or clubs and hands-on and virtual training from MIT Media Lab experts to turn their concepts into working apps available for download. The Best in Nation winners will also present their apps in person at the 2016 Technology Student Association National Conference.